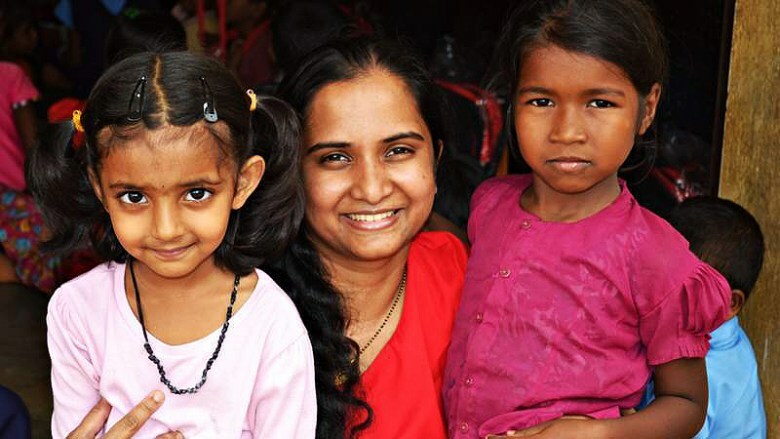 Amitha Pai is an ex-Infoscion who now runs a not-for-profit organization called ‘One Good Step’ (OGS). OGS connects the most credible and genuine causes in Bangalore to those who want to make a difference. This Yourstory article about her—https://yourstory.com/2016/02/one-good-step/—is a wonderful read and acts as a lead-in to this conversation with her. Q: Let’s start with the MBA; you did an MBA from ISB after spending a few years in Infosys. How did the MBA help you? AP: The seeds of the MBA were sown in Infosys, when I went onsite. It broadened my horizons. I realized that technology is the enabler for business operations of clients, but I was keen to learn about other aspects of business. That’s how the MBA came about. ISB is the best institution for professionals coming in with prior work experience. The intense one year course with the cream of students from across the country and the international faculty helped me to transition seamlessly from technology to business. Through the campus placements I was chosen for the Aditya Birla Group’s ‘Young Leaders Program’ where I had an opportunity to work across industries like Cement, Grocery Retail and Apparel Branded Retail and across-functions like Competitive Research, Corporate Strategy and Marketing. I would say that from Infosys to ISB to ABG was a journey with the steepest learning curve and one that shaped me as a well-rounded business professional. Q: Tell me a bit about your organization—One Good Step? How did it come about? AP: In 2014, I gave up my corporate career with the thought of contributing my skills to positive change in our society. I had some vague thoughts about what I could do, but I had no concrete ideas. So I spent the first six months simply volunteering with various NGOs in Bangalore. I figured that while there are phenomenal welfare efforts, there is still a lot that could be done on a development agenda. One Good Step (OGS) was thus formed as a collaborative social development organization that champions the feeblest voices in our society. OGS is conceptually an inspired journey of good! We are trying to bring about positive change, simply by taking one good step at a time. Each step in this journey is a development initiative. It is powered by the participation of individuals and organizations who also identify with our causes and want to do their own bit, thus taking this journey of positive change one more step forward. Our mission is to open doors of opportunities through education and to foster social development by creating and enabling sustainable solutions to address the most pressing challenges of the underprivileged. We currently operate in urban slums in Bangalore and villages in the neighboring districts of Chikkaballapura, Kolar and Tumkur. Q: What kind of projects do you take up? How do you find/validate the causes? AP: Though we started with an open mind, we have gradually shifted towards causes around children and education. Our model is centered on conceptualizing, creating and executing close-ended and goal-driven social projects around causes that represent the most pressing needs of the people we serve. There is no dearth of genuine causes to work on. So in the planning stage, to choose a cause, we spend a lot of time with the people who we hope to help—to understand their problems and the priority that they place on them. Like with rural government schools, we found that we first need address the barriers to education: like poor basic school infrastructure, power scarcity that affects after-school reading time for students and lack of access to basic healthcare before we started designing educational programs. In the urban slums, bridge education was a crying need to help out-of-school children transition to schools and had to go in parallel with health camps and hygiene awareness sessions. Once we have a clear problem articulation, we then try to research and understand pre-existing solutions (so we don’t re-invent the wheel). Finally, we evaluate if we are the best people to be solving the problem, explore useful collaborations and design the final solution. This is how all our projects have come about. Then it is all about dedicated and meticulous project execution, which I guess every good Infoscion is adept at. Q: Please talk me through the kind of impact you’ve been able to create? AP: I think ‘impact’ is the biggest myth of the social sector and has only come into picture in recent years after ‘social entrepreneurship’ became a sector in itself. This expectation of ‘impact’, though it started with the right intent, is now creating false and unrealistic expectations in the sector. I say so because, anyone who does serious work in this space will tell you that there is no such thing as impact. What we drive is change and change is very slow and painstaking. Barring a few circumstances, there is really no magic wand that you can wave to miraculously solve problems. We must discourage such narratives. But I can talk about our successful projects. We are nearing 50 steps into our journey now! Through the “Light for Education” project we have provided night-time solar reading light facilities to 11 schools and 5 girls hostels for poor students with over 1500+ students. Through the corporate volunteering program “Nanna Kannu” that we conceptualized and drove, in collaboration with Sankara Eye Foundation we have brought free eye screening and treatment to over 18400+ students across three districts (Chikkaballapura, Bangalore rural and Kolar). This is something the organization and our partners like Sankara , Samarpan Group of Infosys , other CSR groups were all thrilled about and the mutual synergies made it very popular. Some of the treatments for advanced eye health issues like glaucoma, paediatric cataract etc have actually saved vision which would have unnecessarily been lost or significantly diminished. So more than the numbers, we are happy we could help such children. 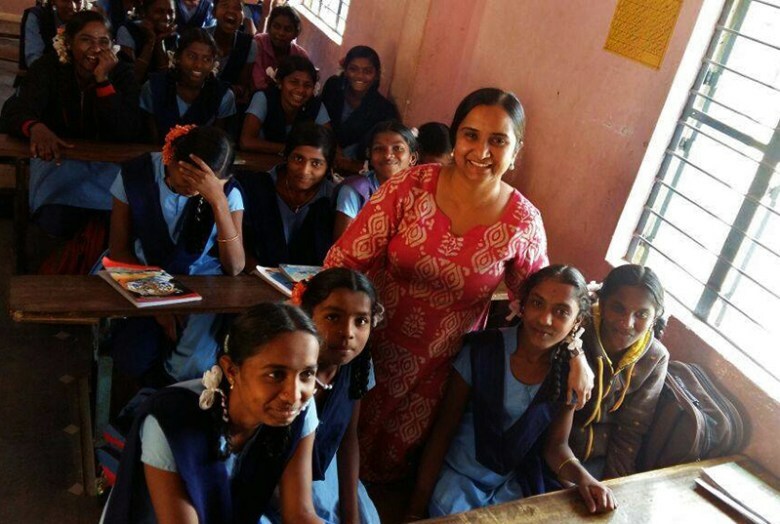 The “Streets to Schools” project, a deep intervention in bridge education for slum children, brought 190+ street children into mainstream education. Currently we are working on the “Good School Project”, through which we aim to completely overhaul rural govt. school infrastructure and education, starting with 10 schools and with an ambitious plan to eventually cover all 110 high schools in the district. It is challenging and exciting and we are constantly scaling up these projects and looking for others. Q: Do you rely totally on donations and fund raising to run your operations, or are you working on creating a self-sustaining model? AP: There are two types of organizations in the social space; not-for-profit development organizations and social enterprises; they each work for different causes. Some of these causes can be monetized and some others cannot be monetized. For example, assume the cost per child to educate a slum child and bring them to mainstream education is Rs 2000 per month. If I try to claim this from the child’s parents, who struggle to earn daily wages, the program will fail. I believe causes for children, seniors, differently abled etc are hard to and should not be monetized. We work mostly with such causes. So donations and grants are what we primarily rely upon. The first major grant to the organization came from my own savings! We have since been working on building a base of people who genuinely care for these causes and wish to be a part of development initiatives around them. Having said that, we do maintain strict financial discipline and we are trying to create a corpus as a buffer to keep our activities sustainable. From a continuity stand point, OGS is a life goal and I intend to run this for as long as I am alive and able-bodied! Q: How can we, your friends, help you in this journey? AP: We have a simple vision of an inspired collective journey! This journey can be successful only if many participate in it. Take your own good step! I hope all my friends here will! ? First of all, I would humbly request you to go through our projects. The “Good School Project” which we are currently working on is a key initiative for our rural students and designed for the long haul. We are responsible for the future of our next generation and this is an effort to improve their odds. So if this excites you, please open your hearts, minds and wallets for it! Secondly, I would say that projects often evolve from the ideas of contributing individuals who are passionate about a cause. For example, the career-counselling sessions for rural students came from our advisor (Bhaskar) and his observations on school visits. So if you have the ideas, do reach out, we are willing to keep an open mind about them, as long as it aligns with our goals and you are committed to it. Thirdly, we are all a part of the problem. From thoughtlessly buying and opening up a plastic bottle of drinking water that ends up in land-fills, to mindless consumerism, to being unseeing to the plight of children on the streets, we are conditioned to not think and certainly not to act. One Good Step or otherwise, I would be happy if my friends and colleagues here simply started giving it deeper thought and consciously making more responsible choices. Q: What are the challenges you face in your current work? AP: Where do I start!? ? This is a challenging space to be in. Apathy, resistance to change, superstitious beliefs and even active sabotage of initiatives by destructive elements is fairly common. Patience and persistence is the only antidote to this. Also, I think putting myself in the shoes of the people we serve is in itself a challenge and sometimes frustrating. It is hard to understand and relate to the contexts and circumstances of their life. If a poor woman who is being beaten black and blue by a drunk husband is unwilling to confront or leave him, it is because she has been strongly conditioned to put up with it and lacks the support system to stand up to it. Funding as a challenge is of course a part and parcel of working on such development initiatives. In Infy, before we start a project we have a client committing funds to it and only then we begin. In social development projects we come up with initiatives often with no clue how we will fund it! Then work backwards to see how we will raise it. Finally, you have to be incredibly thick skinned in the face of cynicism and skepticism! ? Q: You’ve managed to touch the lives of so many people. Give me a sense of the emotions you feel? Are you happy now? AP: That is a tough one. I started by saying that I will be happy if I help 10 people in some small way. We have now touched the lives of thousands. So yes, I am certainly happy. It has been an incredible experience and I have gone way beyond what I could have imagined at the outset. But I am also humbled and only wish to serve more. We are just around a milestone in our journey, at 49 good steps! So I truly believe we are only getting started. I hope the next 50 come in half the time and creates more positive change! This is the thought that is constantly running in my mind these days. I do have deep sense of satisfaction and a reassurance that all the skills I gained through education and my corporate experience are being put to good use. It is also deeply personal for me. My father, sister, husband and some close friends have been untiring supporters. I am so lucky to have them and I strive to live up to their expectations. I am also sure, my dearly loved and departed mother would be proud of me. For all the trouble you go through it is very gratifying when you can help save a child’s vision or when a student writes a thank you note for being a positive influence on their life. It makes it all worth it. It always re-energizes me to do so much more. Society is after all defined by us, its people. Change is possible, if we try. ? Did you enjoy this conversation? Please leave your comments below.